The past 24 hours have been a tortured 24 hours for YouTube professionals and their fans. 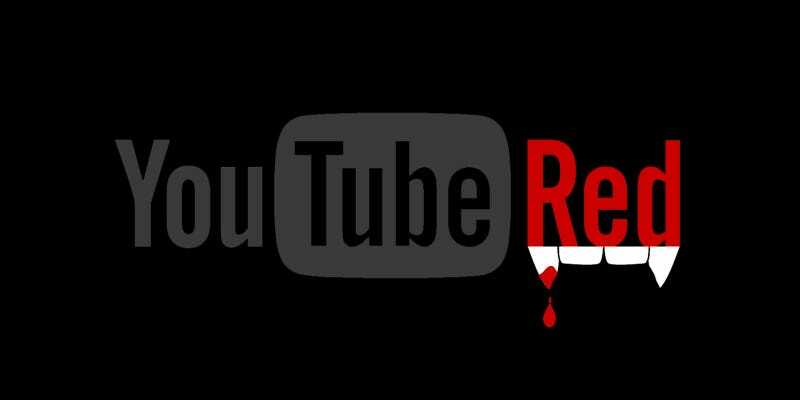 The famously free video site announced a new paid service called YouTube Red, and nobody’s really sure what it means. But some YouTubers are already making end-time predictions. Those predictions fall on the dramatic end of the reaction spectrum, though they’re not necessarily unwarranted. For months, YouTube has been talking to video creators about its new subscription plans and is prioritizing user experience above all else. That means if creators don’t sign a YouTube Red contract, their videos will be marked “private,” meaning nobody can see them. Otherwise, YouTube Red subscribers would be unable to access videos that non-subscribers have access to, which means subscribers would be getting less content than they would on free YouTube, not more. Clearly, this matters for people who are making money off of YouTube. But should users be so upset that something that was once 100 percent free is only 99 percent free now? That’s not really the point. The point is that Google enjoys a huge amount of control over the online video world. If creators don’t like the terms of YouTube’s deal, they can either kiss their content (and paycheck) goodbye, or try their luck at another video site like Vimeo. It’s not unlike your internet service provider charging you more for service, when you don’t really have any other choice. We don’t really know how this is going to change the average person’s YouTube experience, either. YouTube Red isn’t supposed to change how regular YouTube works, but that will remain a mystery until YouTube starts rolling out the exclusive content in January. (The ad-free part starts next week.) Until then, enjoy your innocence. The world isn’t going to end. But it will never be the same. Disclosure: Gawker Media is a partner with YouTube Red.